Khao Koh is a beautiful mountain situated in the Thai province of Phetchabun. Phetchabun is a province in the lower part of Northern Thailand, and it is known for its fantastic scenery and abundance of natural attractions. It has many national parks that are teeming with wildlife and filled with interesting flora, and the patchwork-like fields, towering rugged mountains, glistening waterfalls, deep valleys, raging rivers, and tinkling streams ensure that there is plenty to see and do, along with ample opportunities for some great photo-taking! A popular mountain with domestic tourists, Khao Koh sees relatively few foreign visitors. It is, therefore, a terrific place to move away from the tried-and-trodden track and explore a part of Thailand that is free from the tourist masses. With refreshing cool temperatures, largely thanks to its altitude, and lots of cool things to see, plan to spend at least a full day exploring the area’s many delights. Whilst you can get to the mountain using public transport, having your own vehicle is strongly recommended to allow you to really make the best use of your time and to not miss out on anything. Wat Pha Sorn Kaew is one of the mountain’s biggest draws. A relatively new and modern temple, the main temple building and the walkways leading up to the temple are decorated with pretty pottery. 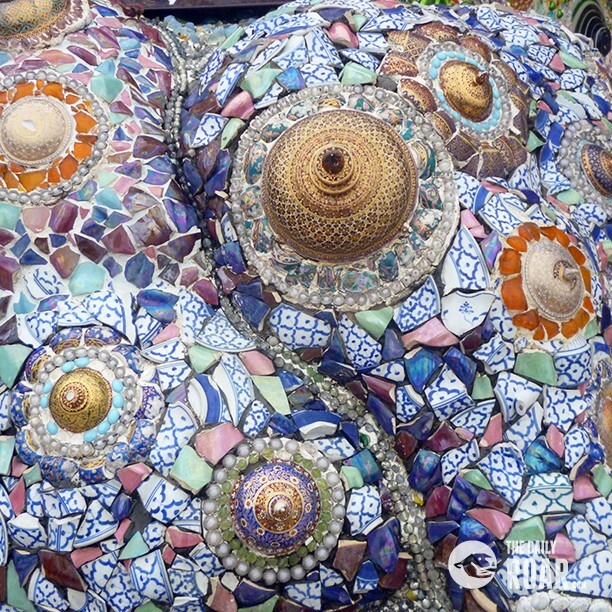 The walls are inlaid with pretty pots and plates, as well as colourful pieces of pottery, tiles, mosaics, beads, and pieces of shining glass. The different patterns and colours create an arresting effect, and the sunlight bounces enchantingly off the reflective surfaces. A large white statue showing five seated Buddhas stands next to the impressive temple. The views from the temple’s upper levels are breathtaking. 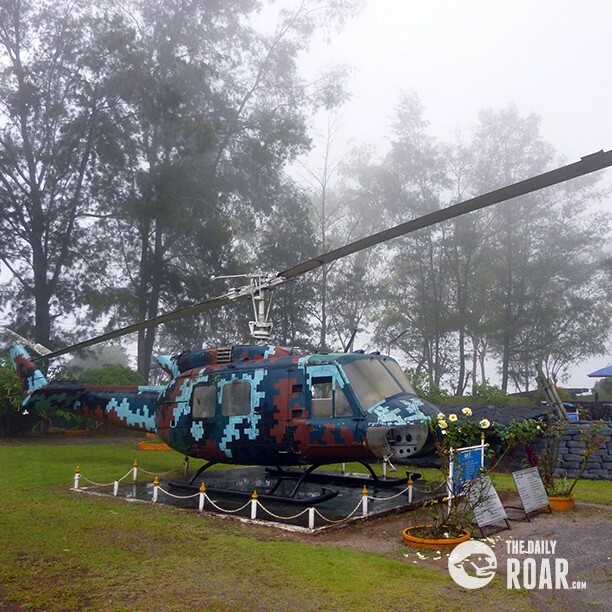 If you’re looking to learn a bit more about the local history, check out Itthi Military Base. 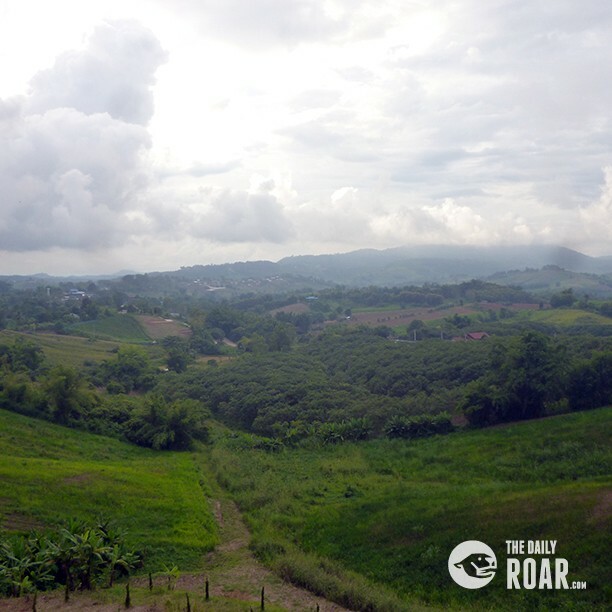 It tells the story of the times when the mountain was at the centre of violent clashes between Communist insurgent and the Thai Army. You can see vehicles, guns, and other weapons that were used during the fighting, as well as maps, reconstructions of bunkers, and other exhibits and displays. The nearby Khao Koh Sacrificial Monument, made from marble, honours police officers, members of the military, and local people who tried to protect the area during time of trouble. The mountain is home to a Royal Residence, used by the Thai Royal Family when they visit the area. Known as Khao Kho Palace, it is a fairly simple building, but the gorgeous gardens are well-worth a visit. You cannot go inside the building, but you can stroll through the grounds when none of the royal household is present. Visit Chedi Phra Borommasaririkkathat and admire the white pagoda from the outside before stepping inside to see a large collection of Buddhist statues, figures of famous monks, animist representations, and other religious items. There are many objects around the outer walls and even more within the central glassed display area. You will probably also see Thai people praying and making merit. The pagoda was originally built to contain religious relics, and so it is also sometimes called the Buddha Relic Pagoda. There are several pretty viewpoints around the mountain where you can pause for a while to soak up the views; do try and see some of the more famous views of the area known as the Thai Alps. Small Swiss-style chalets dot the landscapes, and it really does feel as though you have entered a different country entirely. You will also encounter roadside sellers with an assortment of fresh produce in addition to local souvenirs, such as knitted ponchos, woollen hats, and warm scarves. Other attractions in the Khao Kho area include the International Library, small traditional villages, and Si Dit waterfall.